Americana Night featuring the Songs of The Carter Family. This looks promising. 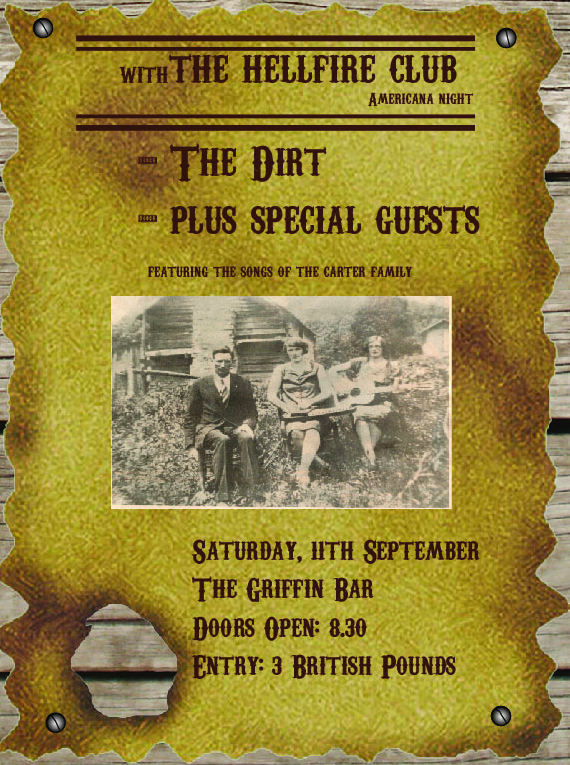 The Hellfire Club, The Dirt and Graham Robertson are putting on a Carter Family night this Saturday, 11th September in the Griffin bar. Should be a rollicking night and it sure beats burning the Koran. This entry was posted in News and tagged Americana, Glasgow, Graham Robertson, The Dirt, The Griffin. Carter Family, The Hellfire Club. Bookmark the permalink.